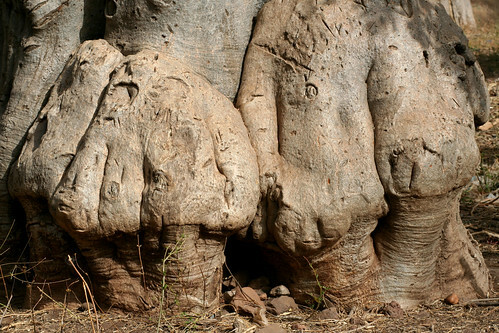 The old baobab tree, originally uploaded by nobodaddy69. Like many who have read Le Petit Prince, I have had a fascination for baobab trees from an early age. The base of the trunk of this ancient tree were so expressive, like the lines on an old woman's face. Many stories are written there..